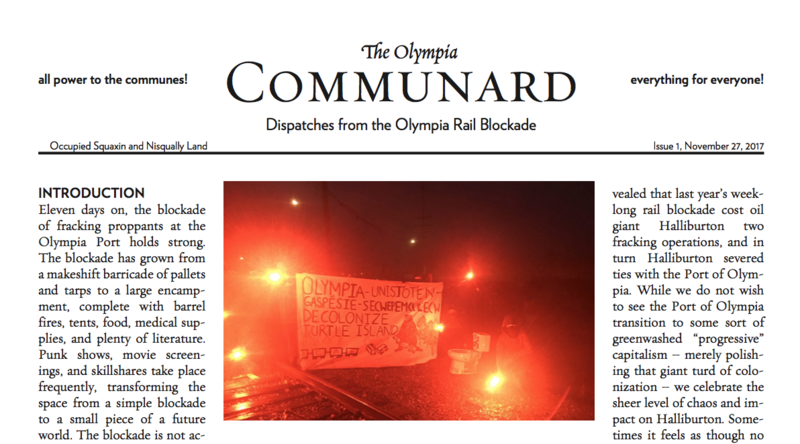 Statement by Olympia Stand about yesterdays raid against the blockade in Olympia. 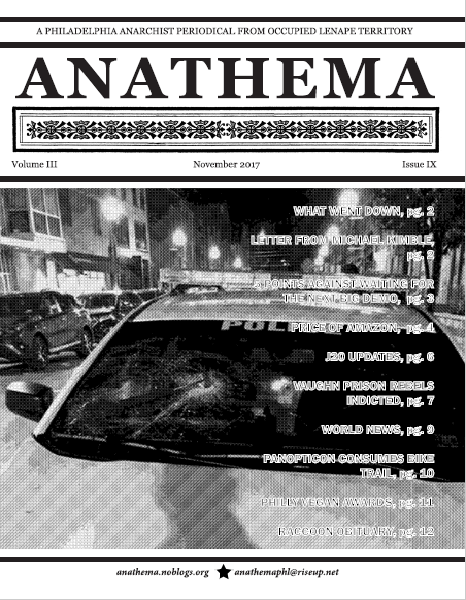 Anathema: A Philadelphia Anarchist Periodical – Volume 3 Issue 9. 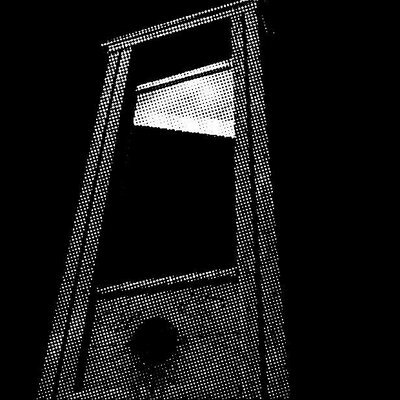 We are introducing the first episode of a brand new spin-off podcast called The Guillotine. 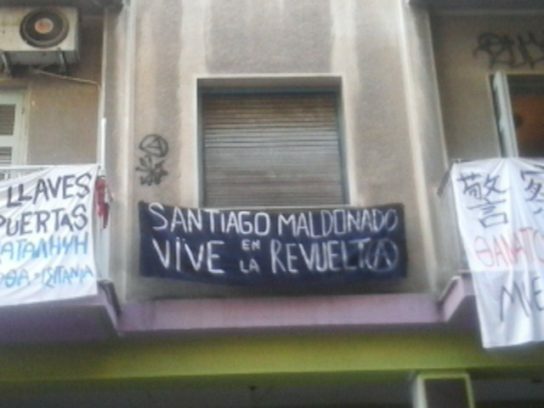 Banner in memory of Santiago Maldonado in Athens. Solidarity with comrades on the South-American territory. #Montreal #Antifa: Maxime Fiset and His Centre Do Not Speak for Us! As antifascist and anti-racist militants, some of whom have been active for decades in the struggle against the far right in Montréal, in Québec, and elsewhere in Canada, we wish to absolutely disassociate ourselves from the recent statements made in the media by Maxime Fiset, spokesman for the Centre de prévention de la radicalisation menant à la violence (CPRMV), as well as from the overall position he has staked out. Continue reading #Montreal #Antifa: Maxime Fiset and His Centre Do Not Speak for Us! Fabio Vettorel (18) was released yesterday after he had been jailed for 4 months in the Billwerder prison in Hamburg, Germany. He was the last Italian in jail after the NoG20 protests in July. The young man from Feltre was arrested in the aftermath of the mobilizations and accused of “creating public nuisance”, the “attempt to inflict damage by dangerous means” and “resistance against a public officer.” Although he has been released the trial against Fabio is still ongoing, until now the state prosecution wasn’t able to proof any of their accusations, except that Fabio was seen on a protest. 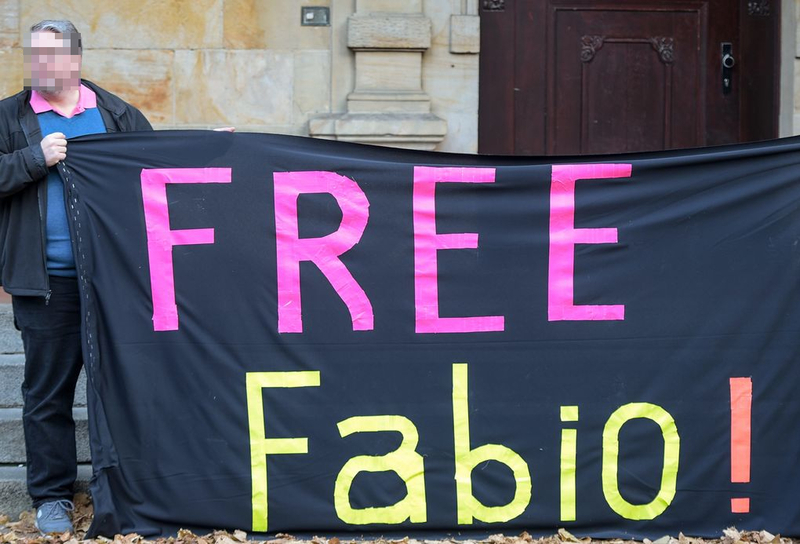 We publish a statement Fabio read to the court during a court hearing on November 7. The statement was originally published and translated by Infonaut. 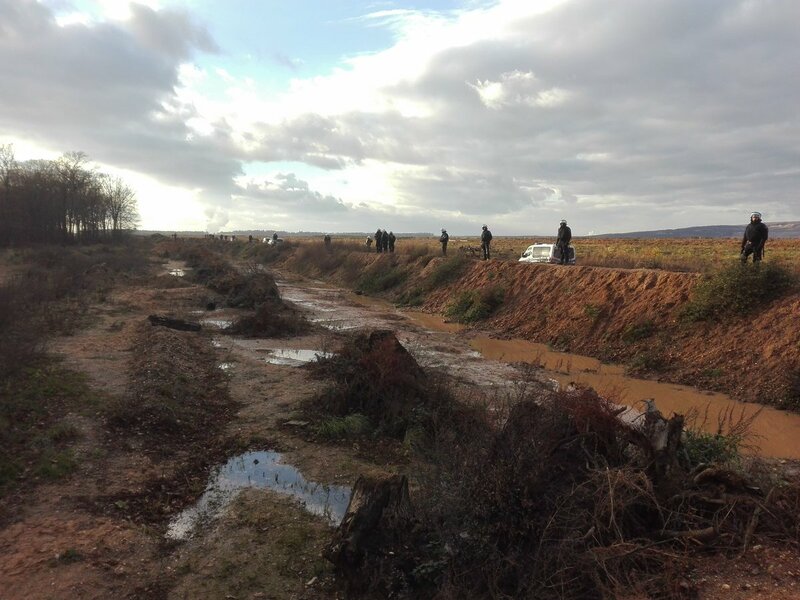 Germany: After energy giant RWE started uprooting Hambacher forest yesterday with the assistance of riot cops, the company continued with their enviremental destruction this morning. 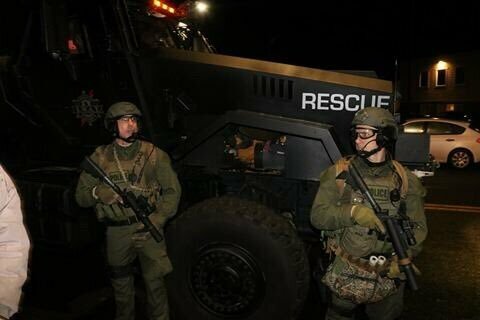 Activists resisted again. In the afternoon a court ordered a temporary stop of cutting the 300 year old trees in the forest. According to a spokesperson of the court this temporary stop could be for weeks or even months, which gives activists time to organize and mobilize. It was a heavy week on Lesvos, a violent fascist mob, supported by cops forced refugees to (at least temporarily) stop the occupation of Sappho square in Mytilini. On Saturday many people protested against the fascist mob, deportations and for open borders. 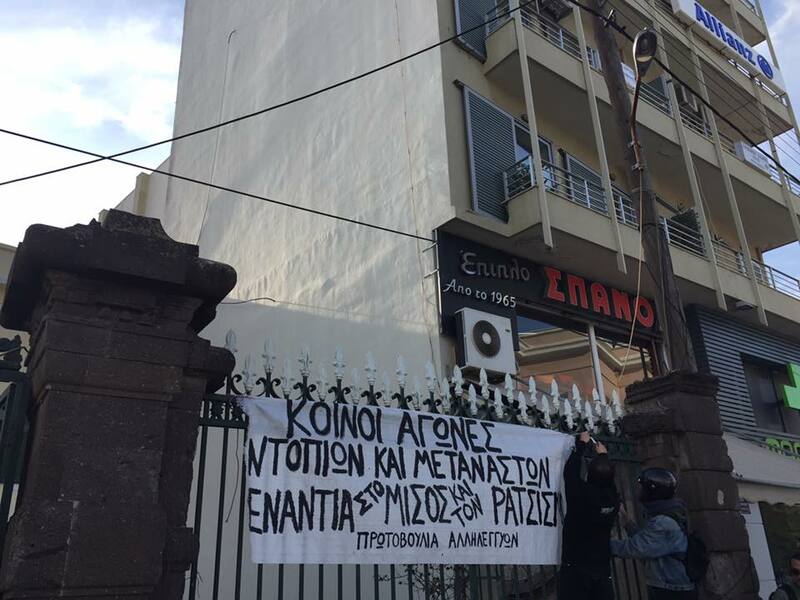 Report and statement by Refugees and Solidarity supporters about the occupation of Syriza headquarters at Lesvos, Greece on Saturday November 25. Image: On Saturday November 25 activists occupied Syriza headquarters on Lesvos, Greece, after a demo through the islands capital Mytilini. Image by Lesvos Solidarity – Pikpa Facebook page. 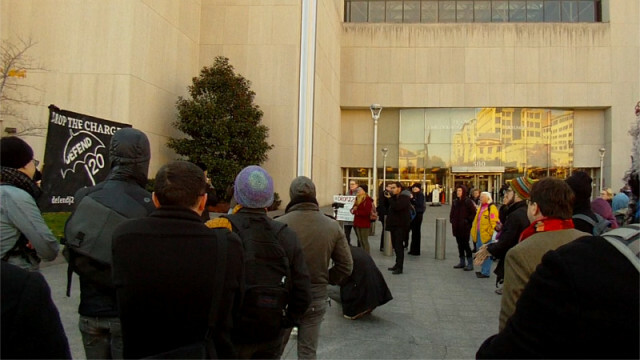 On the 27th of November, a protest was held outside DC Superior Court in solidarity with J20 (Inauguration protest) defendents facing up to 65 years in prison. One message of the protest was that “a vote to convict is a vote for Trump” driven home by a chant. It has also come out that police had already decided to carry out the mass arrest prior to the march ever leaving Logan Circle.